AAP rose out of the desperation of the middle class, driven to the edge by blatant corruption and a response to it by the government of the day which grew even more blatant with each new expose. Nothing was left sacred and nothing was left untouched. The shame grew to engulf the highest citadels of power, which sat in the assumed security. That power corrupts, we knew as a nation and to an extent, we had given a realistic acceptance to corruption in governance. In that sense, I believe, we Indians bore a great resemblance to Irishman, as written about by GK Chesterton, has two eyes. By which he implied that with one eye “an Irishman saw that a dream was inspiring, bewitching, or sublime, and with the other eye that after all it was a dream.” This sense of fatal idealism which prepares itself to be murdered while it grows and pleases and entices also applied equally well to us Indians. We give great value to morality in thoughts and actions, but do acknowledge that there could be something like too much of a good thing. We know that the practical necessity contradicts the ideal fantasy. But we still want things to not go so deep in the rut that there is no escape possible and also even the fantastical idealism dies breathless in the deep, dark caves of immorality. We want the pretense to stay alive, a pretense of shame, a pretense of respect towards the last man in the line. 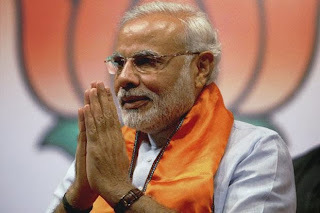 This government downed the pretense and blatant response to the corruption and mis-governance of the country, brought to a sense of infinite impotence which fell over the nation at large. The standard response was so well-scripted that people knew the turns which the story would take by heart. The charge will come about, government will deny it. Step two, it will charge those who brought up the story with malfide intent and question their patriotism. If the anger and annoyance survives this, it will order some hogwash inquiry and when courts step in, will tell them to stay within limits, before finally surrendering to the courts and then trying to undermine court monitored enquiries with doctored affidavits and staged witnesses and failing all else, finding scapegoats. The process was so blatant as the in case after case, beneficiary was penalized, procedural cogs of the wheel were put in the dock, the final authority flew high in hallowed image of purity. This killed the sight in the other eye and we as nation ended up with one-eyed people. AAP, in its earlier avatar as IAC, offered a new vision to the dreaming eye. The dead darkness of the inert eye flickered under the new light and possibility. AAP offered an answer in the helplessness which was highlighted by Ruling party spokesman on the alleged land related corruption of the first family member, when he claimed that there was unwritten rule that between BJP and congress they would not attack the family members involved in the acts of corruption. This, if true, is based on the false premise that national wealth is a private property of the ruling dispensation. This extended the government logic of coalition compulsion to the opposition of the day. AAP threatens to upset the alleged apple cart. One party is said to have looted the nation for sixty years, another sat silent witness to the loot. AAP is an unknown devil, but things have hit such a nadir that it can only go up, or so the dreaming eye with its slightly recovering faint vision believes. AAP sure will have a shot at Delhi, if not for anything, but one-eyed people will vote them for the fun of watching how the unruffled rulers of Delhi treated by the new contender, if they were to win the election. national stage. I remember there was a debate how Modi, sticking to state politics will negatively impact his chances. I believe, that is working to his advantage. People feel he, being new to Delhi has yet not been corrupted by the city. I believe, and presume, most will believe that Arvind Kejriwal and his team is not a part of unsaid Omerta which Digvijay Singh indicated signed off between Delhi functionaries of BJP and Congress preventing bringing out cases of misuse of power by immediate families of ruling elite in open for public scrutiny. Modi also offers similar hope of breaking down the existing unholy cartels. That is the reason his appeals transcends that of BJP. 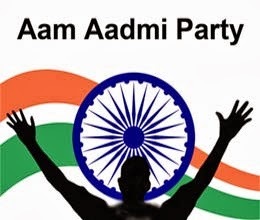 Also such an arrangement, that is AAP forming government in Delhi, does not impact the national issues in any way, since AAP views on Kashmir, International relations, Foreign policy and even Secular polity and Common code is baffling and even worrisome, reflecting the Left in many ways. I am still trying to grapple with the fact as to why it was so necessary for AK to disown any support of RSS to its anti-corruption stance. That brings to mind some worries of Mulayam Singh Yadav kind of politics, where disowning your faith, particularly by majority is a primary condition to join in any protest of national interest. But in Delhi, they can bring much good, if by nothing else, at least by dismantling the existing equations and understandings. I would like to look forward to the fun of watching the great one-liners of current Delhi CM being explained, like suggesting people to pray to god in case of water logging, and advising women not to be too adventurous in the backdrop of killing of a Journalist. One can only believe this will help, no pre-existing alliances will help AAP go deeper into the rot and clear some of it. For instance, to pick a case as Nirbhaya, accountability of governance does not end with sentencing the culprits, someone ought to answer, why was illegal bus plying in the city and picking citizens? Why the government sat idle doing nothing, while Home Minster compared the common citizens protesting against the ghastly act with Maoists? Under whose instructions were FIR filed against four young men under the false murder case of a policeman, merely to break the protest? Everything that comes out in public is a symptom, and case is spread under the earth, like a multi-headed hydra. I believe, these changes will help address the causes to the symptoms. I am of course, looking through my dreaming eye which has very faint vision these days.